Like most of you, we’ve only known “Coop”, a.k.a. John Cooper, as being the handsome beast that fronts and plays bass for Skillet. But, as with most bands that have achieved major commercial success, with that success comes a lot of different pressures from the outside world. Sometimes, certain band members might not feel the freedom to unleash their inner musical beast, as that “beast” may not fit into the mold of who their band has become. For John Cooper, his inner musical beast has been looking to be unleashed for a few years. 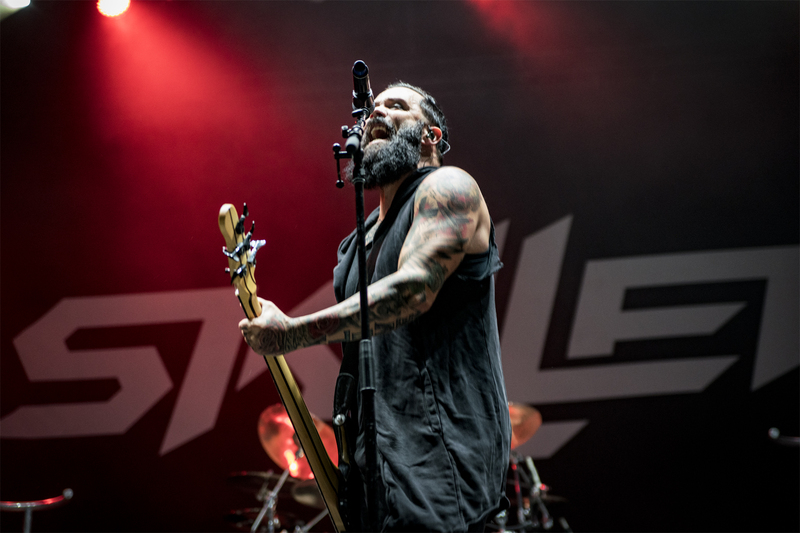 He has no plans on leaving Skillet. So Skillet fans, take a deep breath, relax, and enjoy getting to know a different side of Coop. What is “Fight the Fury” all about and what inspired him to finally give life to this project? Watch and listen as Mischievous Mel has a little fun with Coop and gives you the skinny on all you’ll want to know about the new project.